Gamers are, by nature, a more web-savvy lot than the average Internet consumer. As a result, complicated-sounding concepts like “Net Neutrality” tend to be a pretty easy sell to those individuals whose primary means of entertainment is heavily dependent on fast and unfettered Internet access. 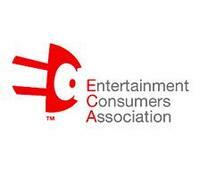 Yesterday the Entertainment Consumers’ Association unveiled another new venture into the realm of gamer activism. 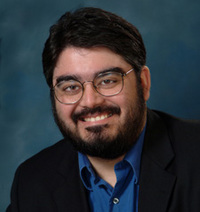 Following on the success of political action programs such as the Video Game Voters Network, the ECA is hoping to apply a similar formula to the complicated issue of Net Neutrality. The new initiative is called Gamers for Net Neutrality, and its purpose is to provide gamers with the tools necessary to fight the encroaching threat of a micro-monetized and heavily controlled online space. This is what it will take to win. We need the FCC to enforce net neutrality. And that will only happen when there’s an administration that will make it do so. And that will only happen if the people vote it in. We need more ISP competitors. And that will only happen as customers demand it. This is the path to net neutrality and Internet freedom. “The Revolution was effected before the war commenced. This entry was posted in Competition, Games, Internet Access, Internet freedom, Internet Speed, Net Neutrality and tagged gamers ECA net neutrality Internet freedom Internet access Internet speed on April 3, 2008 by John S. Quarterman. I think this is right, and it’s just an extension of how Mosaic, the original web browser came to be: Marc Andreesen decided to mix computer game interfaces with Internet access. This entry was posted in Distributed Participation, Games, Internet Access, Internet freedom, Net Neutrality and tagged Raph Koster Susan Crawford William Gibson virtual worlds web digg facebook youtube avatar Mosaic Marc Andreesen reddit cyberspace on January 11, 2008 by John S. Quarterman.